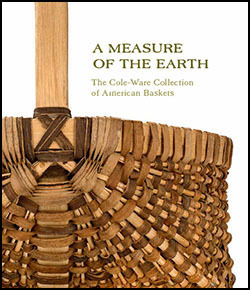 See Lisa’s basket and others from the Smithsonian exhibition in this beautiful hardcover art book, A Measure of the Earth: The Cole-Ware Collection of American Baskets. Essay by Nicholas R. Bell, with a foreword by Henry Glassie. See Tom’s work in the current Aviary Exhibit on display at the Big Town Gallery in Rochester, Vermont. The exhibit runs through November 30, 2013 and features artwork inspired by birds. 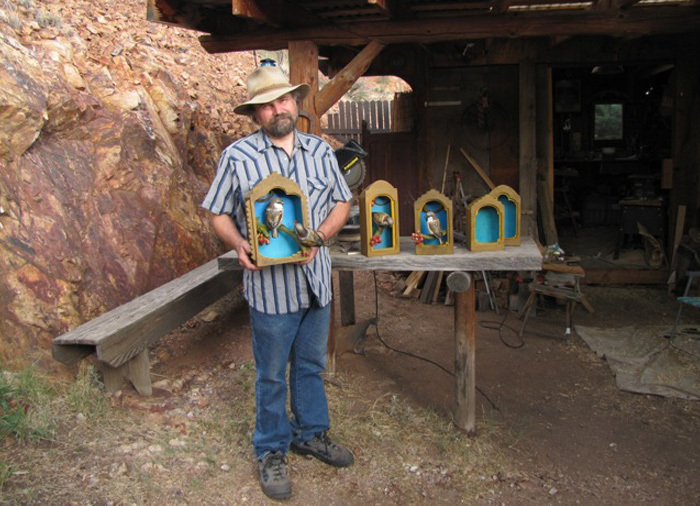 This exhibit is the perfect showcase for Tom’s latest work, a series of House Sparrow Shrines. One of Lisa’s willow bark baskets will be on exhibit at the Smithsonian’s Renwick Gallery starting in October of 2013 as part of The Cole-Ware Collection of American Baskets. See her willow bark basket along with the work of sixty other weavers who represent their craft with baskets almost entirely from un-dyed native materials – grasses, trees, vines, and bark – that they have gathered. The forms – from baskets for eggs, harvest, and market to those for sewing, laundry, and fishing creels – reveal the central role basketry has played in the everyday life of Americans. It is one of the largest public collections of this craft, donated by noted collectors Steven R. Cole and Martha G. Ware. Tom and Lisa are participating in a one of a kind art show inspired by artist couples of Bisbee. It runs from February 14 thru March 14 at Framed in Bisbee, 63B Brewery Gulch Ave. Check out the gallery’s Facebook page for more photos from the opening reception.